“It’s aliiiiive!” That memorable line was in “Frankenstein” the movie, but it wasn’t in the book. And many think of Frankenstein as the stiff-armed, fabricated monster, but that was actually the doctor’s name. 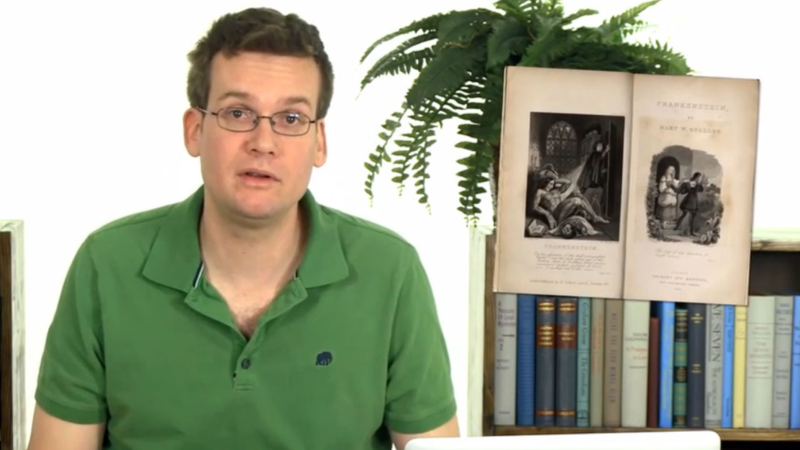 In this episode of “Crash Course,” John Green introduces your class to Mary Shelley's famously frightful novel. Students will learn about the Romantic movement in English lit, of which “Frankenstein” is a GREAT example, and how “Frankenstein” might just be the very first SciFi novel. As it often does, literature comes down to just what it means to be human. John will review the plot, take the class through a couple of different critical readings of the novel, and discuss the final disposition of Percy Shelley's heart.